Ceasefire Oregon called its supporters to rally at the Capitol for gun control on Tuesday and listed the gun controls currently under consideration. Those controls include passing laws to allow retailers not to sell guns to anyone under 21 years of age, “reporting lost and stolen firearms to crack down on gun traffickers…reporting firearm injury data to Oregon Health Authority for research into firearm injury prevention,” and allowing local governments to “regulate guns in public buildings.” The last control would allow public schools to bar concealed carry for self-defense on their campuses. There is also a push to raise the price for acquiring a concealed carry permit and to ban “untraceable” guns. 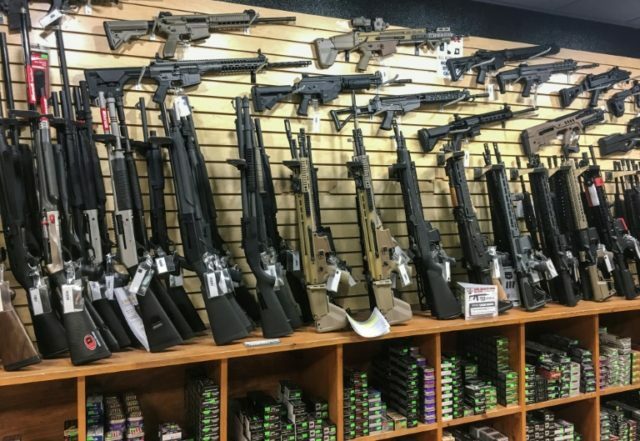 Such guns have been illegal since 1988, but Oregon Democrats are pushing to make them illegal twice. The AP reports that Democrats are also pursuing financial penalties for gun owners whose guns are stolen and used in crimes.